A beautiful picture to be admired from the newly renovated kitchen. 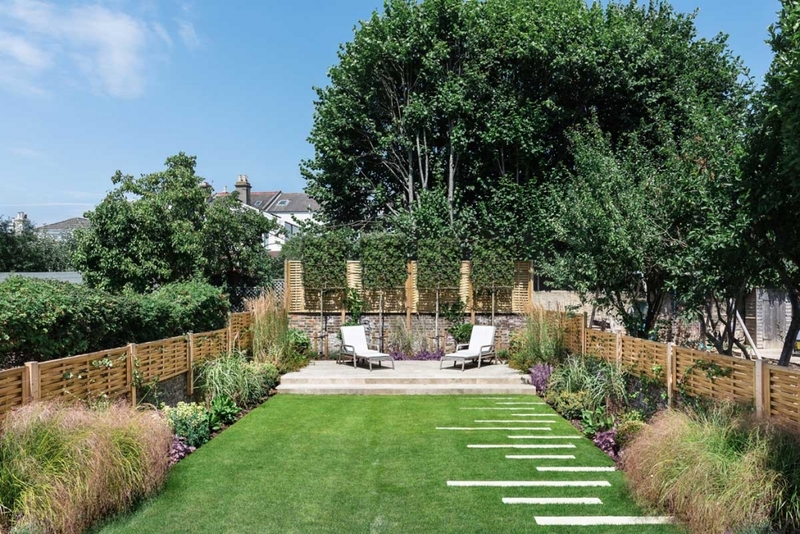 The garden was made to feel bigger through the creation of a series of terraces that are both visually and practically fluent. 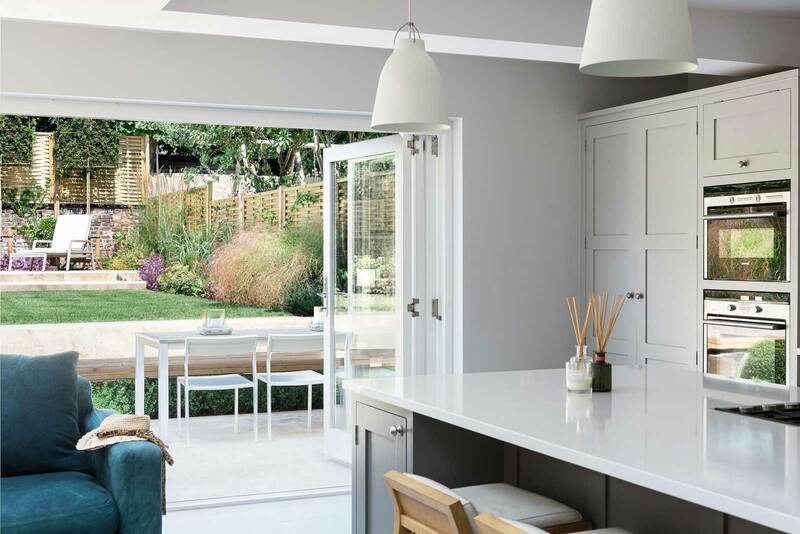 A spacious dining terrace leads effortlessly out from the kitchen with a sleek built in bench. Alternating steps lead up to a spacious lawn terrace. 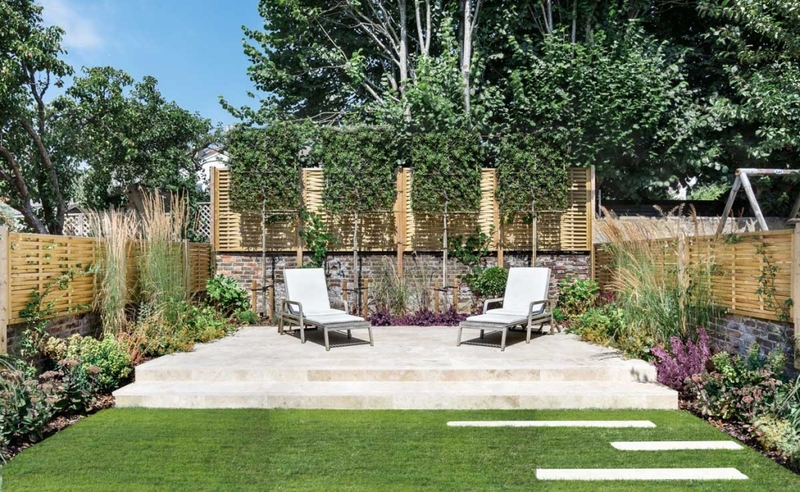 Alternating linear stepping stones lead to a destination evening sun terrace.